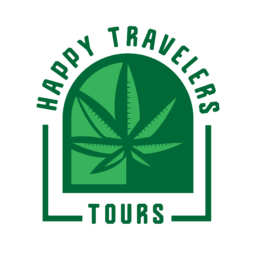 I am voluntarily taking part in the food, beverage and cannabis tastings and walking tours (the “Tour”) provided by Happy Travelers Tours “(the “Company”). I am in reasonable health and am not otherwise limited by either minor or serious mental or physical injury, disability or illness that could potentially render me particularly susceptible to injury or disability while participating in any activity contemplated by the Tour. In consideration of participating in the Tour, on behalf of myself, my heirs and representatives, I am agreeing to release from all liability and further agreeing not to sue the Company, its employees, contractors, agents, owners, vendors, business participants and all those connected with it from any and all claims, including claims of the Company’s negligence, resulting in any physical (including death) or psychological injury, illness, damages or economic or emotional loss which I may suffer as a result of my participation in the Tour including travel involved in the Tour, participation in Activities or Events and/or consumption of cannabis or alcohol. I am aware of the risks involved in the Tour and fully understand and accept each and every one of the risks associated with my participation in the Tour encompassing, without restriction, exposure to conditions of inclement weather, food or cannabis sickness or unanticipated allergic reaction, injuries (e.g., without exception, those arising out of lack of coordination, clumsiness or inattention, other participants, motor vehicles, pedestrians and any other possible obstacle) and death. Despite the above I assume all related risks, both known and unknown to me concerning my participation in the Tour. I acknowledge that California Code of Civil Procedure section 1542, provides as follows: “”A general release does not extend to claims which the creditor does not know or suspect to exist in his favor at the time of executing the release, which if known by him must have materially affected his settlement with the debtor.” I am specifically waiving any and all rights and/or benefits I may have against Company and the Released Parties under California Civil Code section 1542 or any other statute or common law principles of similar substance and effect, and represent, acknowledge, and agree that I am knowing and voluntary waiving the provisions of California Civil Code section 1542 as a part of this Release and Waiver. MY PARTICIPATION IN THE TOUR IS AT MY OWN SOLE RISK. I agree to hold the Company on behalf of myself and/or any person or entity acting through or on behalf of me, harmless and forever and unconditionally release the Company, and any affiliated entities, parent companies, subsidiaries, present and former employees, owners, officers, members, managers, partners, contractors, insurers, shareholders and directors of the foregoing (including, without limitation, A Gardener’s Dream, Elite-Excursions, SweetPea Bakery and SoCo’s Finest). (Collectively, “Released Parties”), from any and all claims, actions, damages, liabilities, losses, costs and expenses in any way arising out of, or resulting from, my participation in the Tour, including, without limitation, any and all claims, actions, and liabilities for death, injury, loss or damage to me or to any one else, or to any property, regardless of whether or not such injury, loss or damage was caused by the negligence or willful conduct of the Company or any of the Released Parties. I further on behalf of myself and/or any person or entity acting through or on behalf of me, further agree to defend and indemnify the Released Parties, and to hold the Released Parties harmless, from any and all liabilities, claims, actions, damages, expenses (including, without limitation or exception, attorney’s fees) and losses of any kind or nature whatsoever in any way arising out of, or resulting from, my participation in the Tour. I further agree to grant Company and Company’s assigns the sub-licensable, irrevocable right and authority to use my name, image, video presence, and/or photograph for any and all commercial or non-commercial purposes either now or later, forever without additional obligation or liability to me. I understand this Waiver and Release of Claims encompasses the complete agreement and acknowledgment between Participant and the Released Parties, and terminates, cancels and supersedes any previous agreement or understanding relative to the subject matter contained within. There are no agreements other than what are described this Waiver and Release of Claims. I agree that none of the items included in this Waiver and Release of Claims can be disregarded or modified unless done so only in writing, signed by me and the Company. Failure of any of the Released Parties to enforce any of their rights hereunder at any time will not be an opportunity for this Waiver and Release for any remotely similar acts at any subsequent time. If any provision of this Waiver and Release is deemed to be invalid or unenforceable then the remaining provisions shall remain unaffected by such un-enforceability. I am 21 years of age or older. By purchasing tickets and participating in the tours I understand the legal consequences of doing so which includes a release of the Company from all liability related to the Tour and promising not to sue the Company and assuming all risks involved in the Tour known or unknown. I am also agreeing to allow the Company to use my name and likeness in its promotional activity. I am willingly participating with the above clear understanding. By your ticket purchase and participation in the walking, cannabis, wine and food tasting tour provided by Happy Travelers Tours (the “Company”) you have agreed to participate in a unique experience in the Valley of the Moon. By purchasing tickets or accepting tickets as a gift, whether on this website or via a partnering ticket sales site, you agree to participate on these tours at your own sole risk and agree that you are in reasonable health and will not hold Happy Travelers Tours, or any of its affiliates, restaurants, wine bars, dispensaries, grow sites, breweries, or distilleries liable for any accidents, mishaps, or food or cannabis consumption related illnesses or any other damages the cause of which are potentially known or unknown. This would include any injuries traveling to and from the Tour. Basically, by coming on the tour you promise to try to have a good time and not sue us.